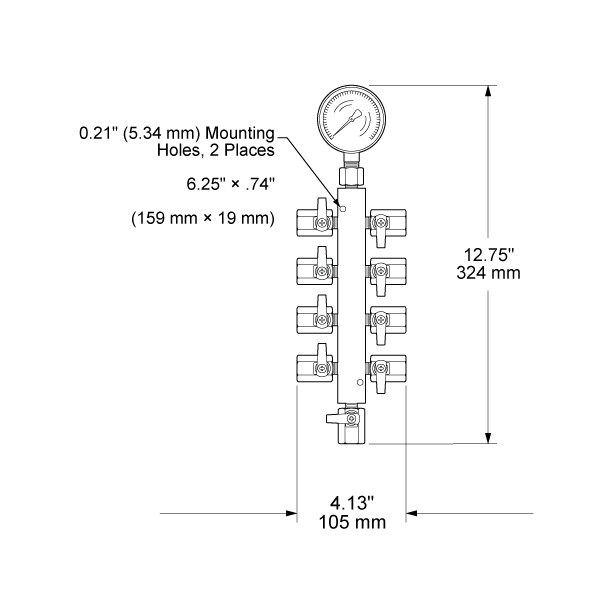 The RCM–1 and RCM–2 Air Distribution Manifolds answer the need for high quality low cost manifolds. Using quality valves and a machined manifold insures pressure tight integrity, ruggedness and a long dependable life. The unique vertical mounting scheme conserves scarce shelter wall space without sacrificing convenient access. The only difference between the RCM–1 and RCM–2 is the full-scale pressure gauge calibrations. These are 1 psig and 15 psig respectively.